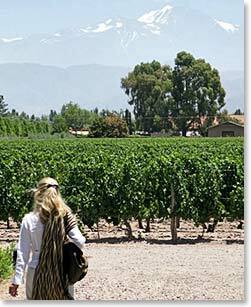 Mendoza is an elegant Argentine city known for its pleasant tree-lined streets, culinary delights and world famous wine. With the some of the best wineries to offer Mendoza makes for a great place to relax in the summer sun while indulging in flavorful wines and fantastic meals. Kristen and Lauren, two friends from the United States are about to open their senses to the incredible flavors of Mendoza on a tour of some of the finest vineyards in the city. Follow along as they tour the top wineries of the region, spend a relaxing night at a bodega in the Uco Valley and learn more about the heart of Argentine culture: wine.